Okay, as a matter of course I adore charts depicting bases and technology, but this one is noteworthy for a whole other reason beyond my nerdiness. 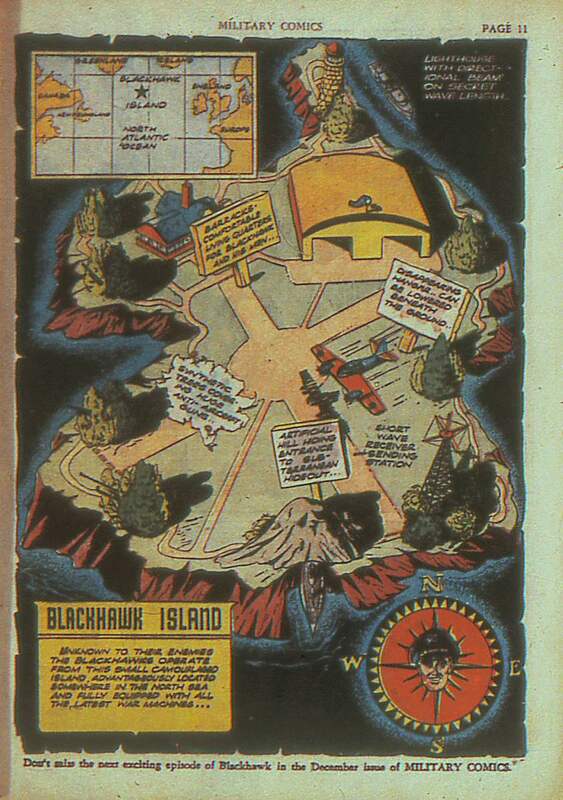 One mistake was made when putting this image together - they laid out exactly where in the world Blackhawk Island was. This made it slightly awkward when, in 1942, the Blackhawks started working exclusively in the Pacific. That's quite a long flight.